A smartly tailored lamp shade with drum shape lines and deep black polyester blended fabric is a stylish addition for any decor. 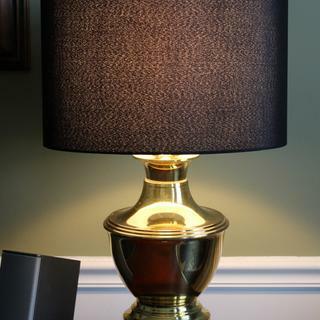 This sleek lamp shade features black fabric and an updated drum shape with a rolled edge. A stylish upgrade for your modern decor. 16" across the top x 16" across the bottom x 11" high. From the Brentwood collection of lamp shades. Black polyester blend fabric. Hardback shade, unlined white interior. Exactly what I was looking for. I'm hoping they are just as gorgeous when they arrive. 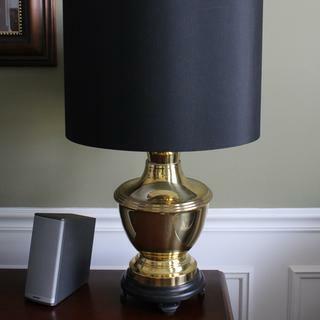 It is the nearest size to the original shade, I wanted black for a brass candlestick lamp. Drum shape goes with everything. I have two lamps from Z gallerie I love but they only come in white shades, my room requirs black shades! was very hard to find in this size as well. The wonderful salesperson in the Chatsworth store (Sky Bird) was very helpful and it was the right fit and a dramatic color. The only reason I did not purchase it directly from the store while I was there is that they were having computer issues. Need this size shade plus wanted a company that uses paypal. I purchased this shade last year for a lamp that needed to be "refreshed" and made to look current. I'm now redecorating my living room and would like the same contemporary look to go with the clean lines of the new furniture. 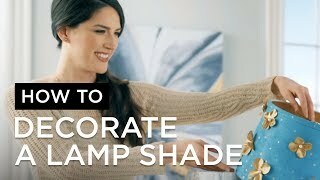 BEST ANSWER: Measure your current shade and use those measurements to find your new shade. The pictures show one black and one brown. Can I purchase it in brown? BEST ANSWER: Hi - This shade is not offered in brown. But, I have added an option below which is close in size. 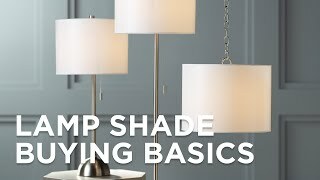 Does the joining seam on the shade show through when the lamp is lit? Does the lamp shade have to be assembled in any way? BEST ANSWER: Hi, the lampshade comes assembled. It is a spider fitting lampshade. What is the surface of outside shade? BEST ANSWER: The material is a polyester blended fabric. Is the inner pure white? BEST ANSWER: No, the inner is gray. Sophisticated and elegant update to the old brass lamp in my husband's study. Love the new look! Love my drum shades. Exactly what I wanted. Ordering and delivery easy and smooth! I am Canadian : Thank you for the professional : fast : and hassel free Ordering: shipping of my Drum lamp Shade. It was more beautiful than the picture . Arrived to South Western Ontario Canada in less than a week : Protective packaging not a mark or dent on it . I will not hesitate to order again from your company . It is perfect . LOVE the SERVICE and the Product. Love it and would order it again.